PASADENA, Calif. -- Legendary boxer Oscar De La Hoya was arrested for driving under the influence in Pasadena on Wednesday, according to authorities. California Highway Patrol said De La Hoya was caught speeding on Del Mar Boulevard just before 2 a.m.
Officials said De La Hoya was pulled over and failed a field-sobriety test. He was arrested and later released to his manager, according to CHP. The International Boxing Hall of Famer has battled substance abuse in the past. 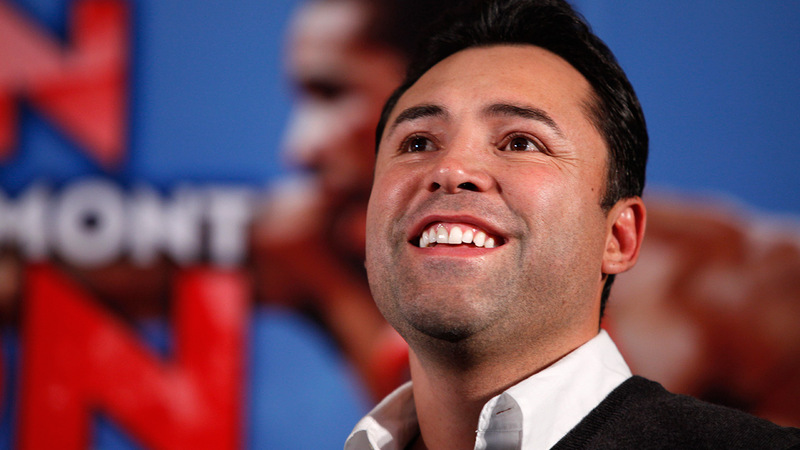 De La Hoya first admitted in 2011 that he was an alcoholic and drug user. In September of 2013 he admitted himself to a treatment facility. The move came on the eve of the biggest fight of the year for his promotion company, Golden Boy Promotions, between Floyd Mayweather Jr. and Canelo Alvarez. De La Hoya, a former 10-time world champion and 1992 Olympic gold medalist, retired shortly after Manny Pacquiao defeated him in 2008. ESPN contributed to this report.